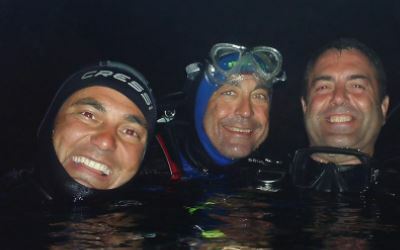 The use of salvage dive lights in underwater diving and caving activities has made most salvage operations successful over the past years. But, do you know some of the popular salvage diving lights on the market? Here are the top 3 dive lights that you need for underwater or caving salvage operations. Developed with a maximum brightness of up to 1200 lumens, the top-rated BlueFire 1200LM Diving Flashlight Xml-L2 LED is a perfect pick for salvage activities that require a steady and powerful light beam. This dive light is also designed with a waterproof depth of up to 100 meters. This means that you can use it without encountering any problems when you are a hundred meters deep. The diving light also has a single 3.7 volt rechargeable battery and is suitable for caving, diving, camping and trekking. This salvage diving light has a waterproof depth of up to 200 feet, which is very beneficial for deep-sea salvage workers. Its AAA batteries can last from 4 to 15 hours depending on the light mode used by the diver. Overall, the Glo-Toob AAA Waterproof Emergency Dive Light is a perfect tool for outdoor recreational activities and salvage work alike. Designed with a super-bright high power CREE L2 LED light, this salvage dive light is one of the best on the market. It has ergonomically-designed handle and a rechargeable battery that makes it popular among users who hate constantly buying new batteries for their salvage dive light. The waterproof depth of this diving light is up to 100 meters and therefore it is a perfect pick for professional divers. These are the top 3 popular salvage diving lights that you should have. Always remember to buy your dive lights from a reputable shopping outlet.